LOUISVILLE, KY March 30, 2017 -- Solid Keys USA, the product development division of iKeyless, LLC is proud to announce the release of the world’s first universal aftermarket Chrysler Fobik remote key. The new Fobik combines the capabilities of 59 OEM SKUs into a single device and joins a growing line of high-quality, FCC-certified universal keys and remotes designed to help locksmiths and automotive parts resellers simplify their businesses and be more profitable. “Solid Keys USA is the first company of its kind to offer these new kinds of universal aftermarket technologies. Our keys were designed to allow locksmiths and automotive parts resellers to dramatically reduce their on-hand inventory while maximizing the vehicles they can cover,“ said Mark Lanwehr, Founder and CEO of Solid Keys USA and iKeyless, LLC. Customers no longer have to purchase imported, unreliable aftermarket keys or pay top dollar for OEM keys from dealerships. 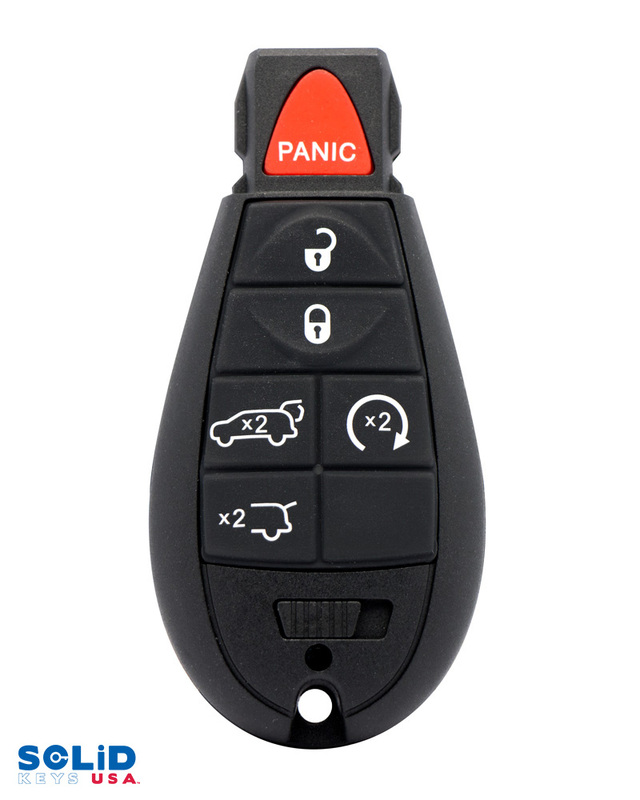 With our new universal aftermarket keys, drivers can now enjoy the benefits of a high-quality, FCC-certified remote key without the premium cost associated with OEM. About Solid Keys USA Solid Keys USA is America's newest key producer and a genuine innovator, leveraging novel technologies to create products and solutions that help locksmiths streamline inventory, simplify processes, and reduce costs. By creating the world's first Universal Car Remote and Universal Car Keys, Solid Keys USA is offering locksmiths valuable products and solutions that enable them to do more work, and boost profit margins. Solid Keys USA is a high-tech replacement automotive key manufacturing division of Louisville, Kentucky-based iKeyless LLC. Founded in 2002, iKeyless specializes in the design, manufacture, wholesale distribution, and retail sale of replacement automotive keys and keyless entry remotes.